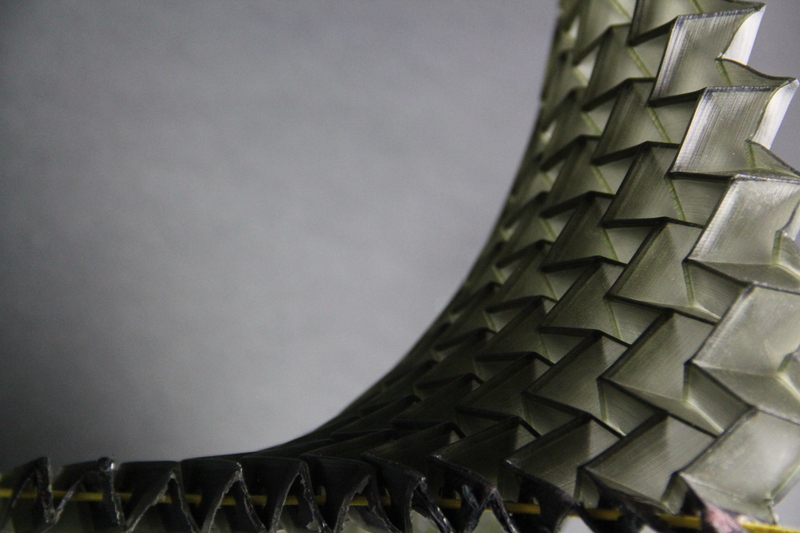 By successfully blending old with new, Danish Designer Mads Jeppe Hansen, has found great inspiration in the art of traditional Japanese paper origami when developing and creating a new class of elastomer based material named OriMetric. The research lab and developer of OriMetric, trex:labs, was founded by Mads Hansen last winter after he graduated from Pratt Institute, New York, on his Masters degree in Industrial Design. 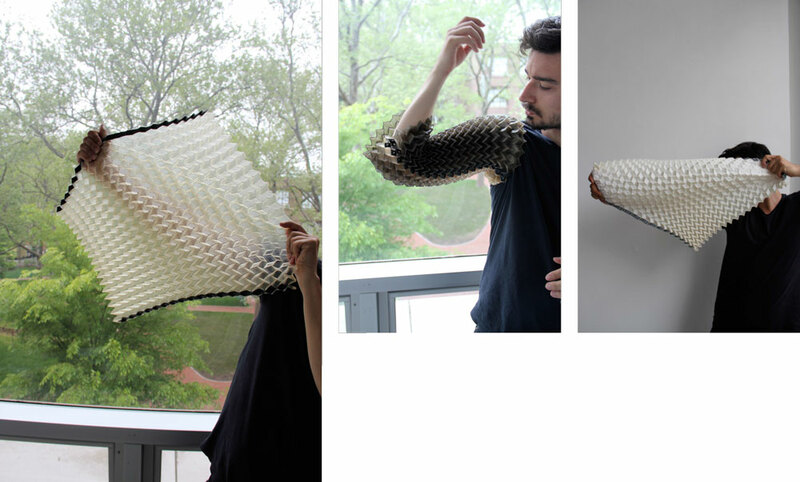 Mads’ graduate thesis work was centered on a collection of experimental studies with crease pattern coating and molding. 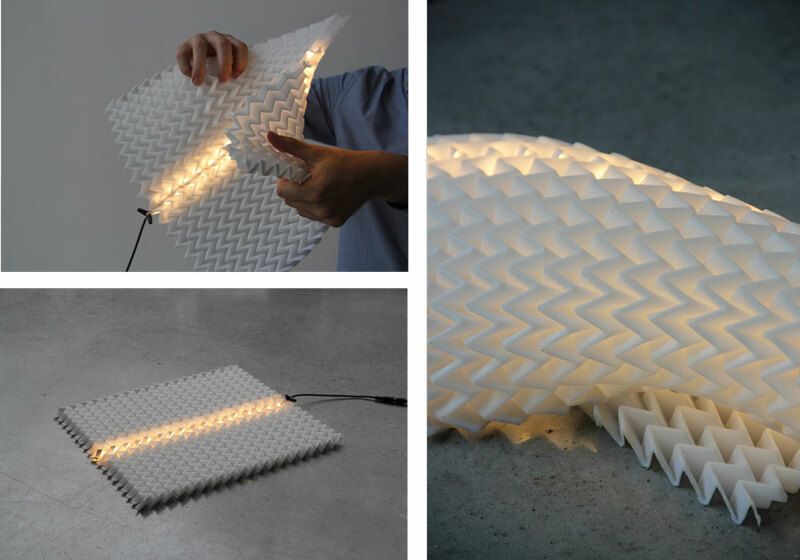 Currently, Mads is utilizing origami’s structural mountain and valley tessellation as a meta-material quality in excising materials, which has ultimately yielded a breakthrough method for creating OriMetric with unique functional and esthetic qualities. OriMetric combines the historic Japanese origami craft with modern molding fabrication techniques. Where origami is predominantly known for precision paper folding, OriMetric is molded in a thin folded pattern utilizing the crease patterns structural strength, shock absorbing and expanding quality but in a flexible resilient form. The molded “Auxetic” material memory allows the folded structure to retain its original designed shape no matter the pressure or stretching of the material. These material’s mechanical properties have been proven to have high energy absorption and facture resistance. Auxetic qualities have also been proven useful in applications as body armor, packaging, knee and elbow pads and as robust shock absorbing material. As most people envision origami as folding swans and cranes, it’s only recently that science; mathematics and engineering have started to explore its advanced technological potential. In fact, explorations within cutting-edge developments have utilized known origami patterns for heart stents, air bags and space telescope lenses in recent years. The concept for OriMetric occurred from experimentation with coating specific resins, rubbers and silicones onto fabrics to enhance material appearance and quality. At the earlier stages of development the idea about utilizing crease patterns was not implemented, and the coating was applied onto flat sheets. Later in the process the concept of folding the fabric before applying the coating was experimented with. Much of the testing and prototyping was done in folded paper and light fabric, it was only in the final stage the concept of eliminating the fabric fully and instead molding origami was invented. The late prototyping was done largely from 3D modeling and printing origami patterns that would become master molds. In the end the combination between the right material, the pattern and molding technic finally transformed into a new material concept. OriMetric is currently being explored by Mads and trex:lab to see where it’s applications can be best put to use as well as how it might evolve within a community sourced database. The more obvious is the design and architecture field where its aesthetic design would be compelling together with its sound–‐absorbing quality. The materials ability to compress and stack into a small package is another quality that could have applications within packaging design and can be utilized in products that has to be shipped along way. Its cushioning and shock absorbing quality is not a unique quality in material research today, but the combination of the expanding and aesthetic quality together could be a new concept in sustainable material research. 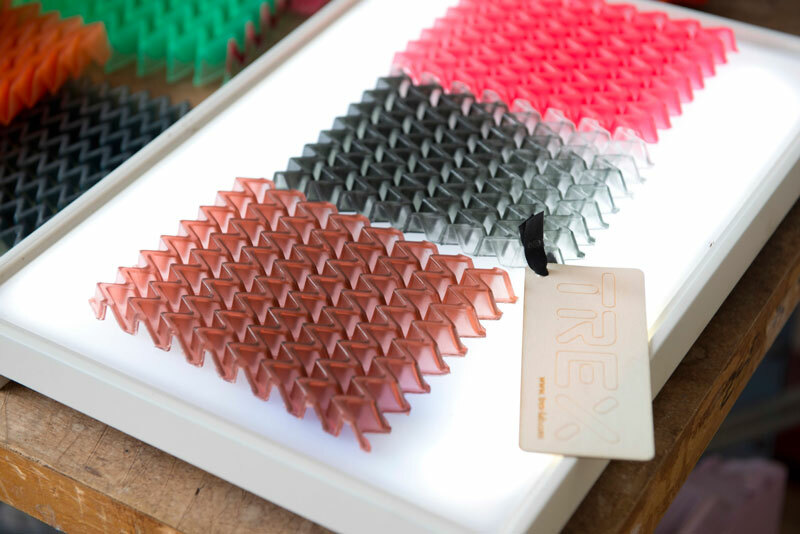 Shortly after Mads’ graduation trex:labs was invited into the prestigious Brooklyn Fashion+Design Accelerator, a New York based incubator focused on making and design utilizing minimal waste. The first OriMetric material samples are currently in production. Go to Trex-lab.com for more information. Mads Hansen was born and raised in Copenhagen, Denmark. From an early age he had a natural attraction to beauty and design aesthetics which led to many exciting jobs in fashion within retail design, branding and product development. Mads enrolled at Copenhagen’s Royal Danish Academy of Design after 6 years in fashion, where he earned his degree in Product Design in 2011. Following graduation, Mads moved to New York where he completed his Master’s in Industrial Design at the Pratt Institute in 2013. 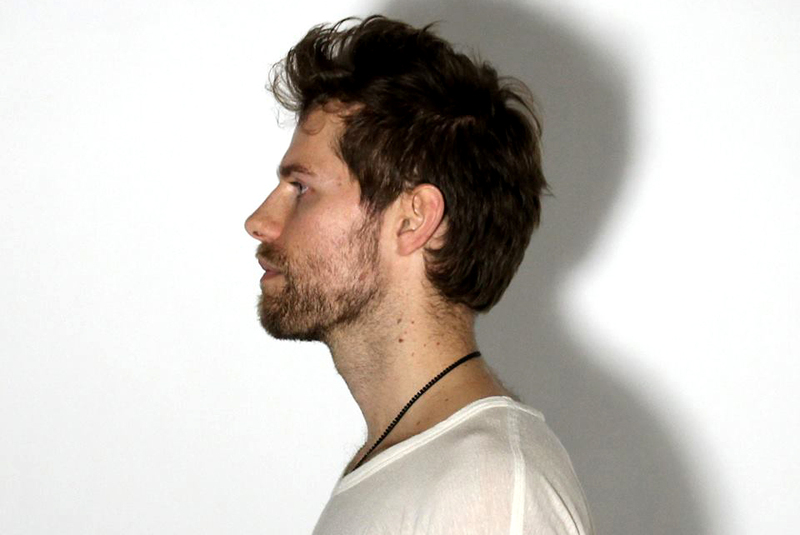 Today Mads is a co-founder of M2 Design, LLC in New York and Founder of trex:labs materials. 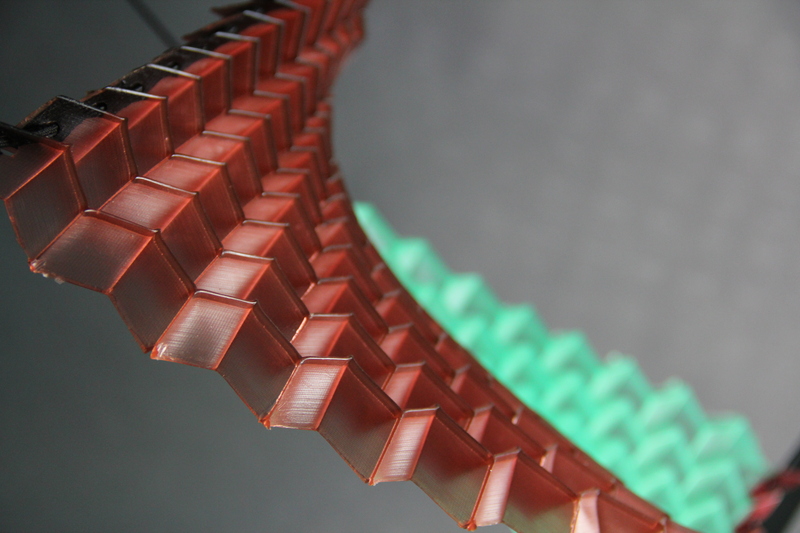 This entry was posted in Material Innovation and tagged elastomer, Inspiring materials, material exploration, Material Innovation, origami, polymer, Transparent materials, viscoelasticity. Bookmark the permalink. I like your p0st. It is a nice post. I will come back to see your next post.